According to Section 25 of the Drug (Misuse and Trafficking) Act, it is a criminal offence to supply or knowingly take part in the supply of a prohibited drug. The offence of drug supply covers a number of different activities, including selling drugs, distributing drugs, receiving or developing drugs for supply, sending drugs to someone else, and agreeing to supply drugs. This offence also covers the storage of drugs intended for supply. If you wish to fight the charges against you, you will need to plead not guilty and defend yourself in court. The matter will then go to a defended hearing in front of a magistrate or judge. Many drug supply charges are based on circumstantial evidence, which often has weaknesses. In the case of circumstantial evidence, the prosecution needs to prove beyond a reasonable doubt that the only explanation was that the defendant was supplying drugs. These charges can often be successfully defended by pointing out the deficiencies and gaps in evidence and providing a more reasonable explanation. If you agree to the charges against you, pleading guilty can help you get a more positive outcome, or even avoid a conviction altogether with a section 10 dismissal or conditional release order. Pleading guilty shows that you accept responsibility for your actions, and alongside demonstrated remorse, may encourage the magistrate to look more favourably on you. Drug supply can come with harsh penalties, depending on the type and quantity of drugs involved. 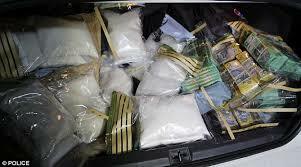 For an indictable quantity of drugs, there is a maximum penalty of 15 years’ imprisonment and/or a fine of $220,000. For a commercial quantity, the maximum penalty increases to 20 years in prison, and/or a fine of $385,000. For a large commercial quantity, you face life imprisonment and/or a fine of $550,000. If you’ve been charged with drug supply, you can benefit from the knowledge and experience of the drug law specialists at Sydney Drug Lawyers. Our lawyers specialise exclusively in drug law, which means that we have the in-depth knowledge and experience to ensure that you get the best possible result in your supply case. Unlike other law firms, our specialist drug lawyers are able to obtain ‘non conviction orders’ in supply matters, which is where you are found guilty of supply but you don’t receive a conviction on your criminal record. So if you are facing drug supply charges, make sure you find the best possible legal advice and assistance. Contact one of our experienced drug lawyers today.